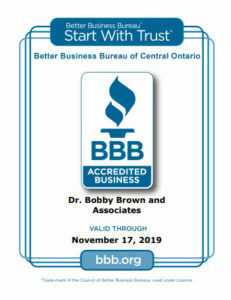 The entire staff at Dr. Bobby Brown and Associates,Mississauga Dentist, have been caring for and educating patients for more than 31 years. We focus on preventing dental disease and provide a full range of cosmetic and restorative services, including crowns, bridges, in-office whitening, children’s program, and customized homecare appointments. Our warm, friendly-oriented, fragrance free atmosphere, provides our patients with a high standard of care they deserve. 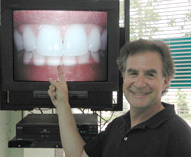 Preventing dental disease through patient education is our primary objective, and when treatment is necessary, we are at the forefront of modern technology and techniques. Feel relaxed in our friendly, efficient, stress-free environment. Our highly trained staff will help you feel at ease, by providing you with a blanket, dark glasses, hot towel service, soothing music, or a view of your favorite TV program during your visit. Warm neck wraps will help you to relax and relieve your body of the daily stresses. Our complimentary specialty coffees, patient education video, and current reading materials are provided in our reception area. Professional dental products such as Sonicare, Waterpik, fresh breath products and more are available to our patients at our cost. 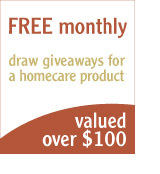 You can participate in our monthly draw to win a great home care dental product. We are now accepting new patients and would consider it a privilege to offer your family, friends and co-workers the same high quality care you expect. 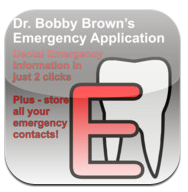 Thank you for choosing Dr Bobby Brown and Associates as your leader in dental care.